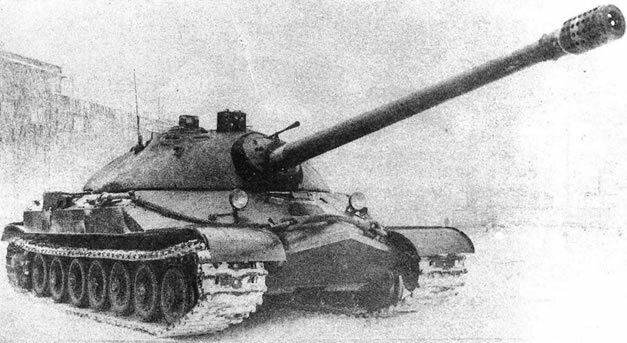 The Russian IS-7 Heavy Tank was developed in 1948. Weighing 68 metric tons, thickly armoured and armed with a 130mm C-70 gun, it was the largest tank ever built by the USSR. Although it was in many ways an innovative design, it was never accepted for mass production due to its cumbersome size and the very impractical layout of its fighting compartment.